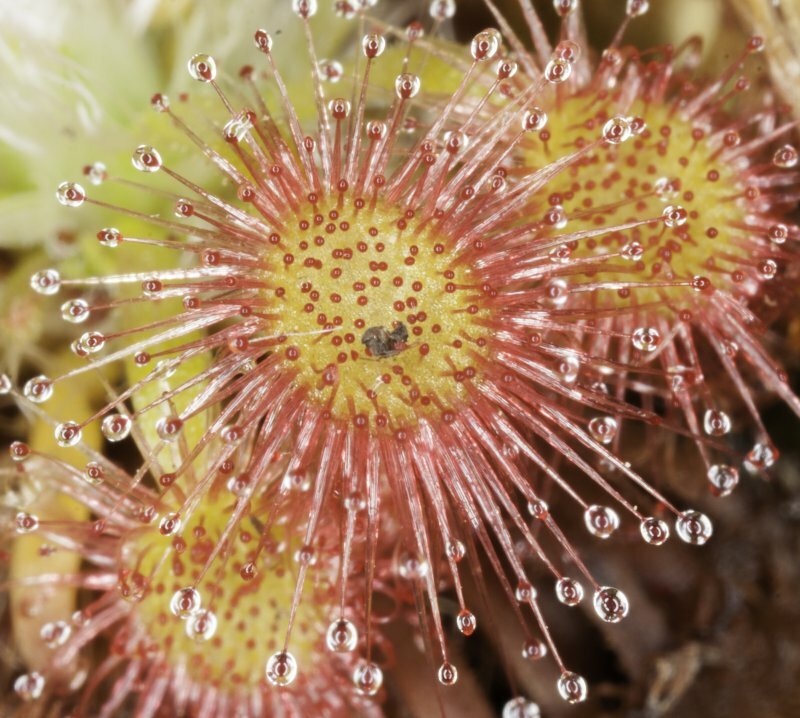 Here are some more wonderful examples of carnivorous plants taken using MACRO photography by Bob Brind-Surch. 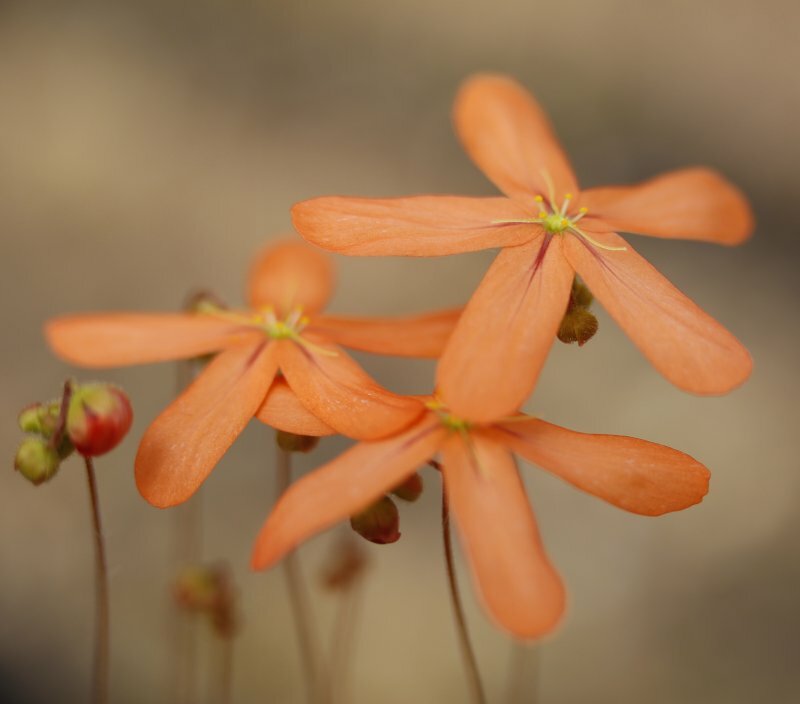 This picture is of Drosera peltata. Bob offers many different types of Photography classes which you can sign up for via his website www.naturesphotos.co.uk. 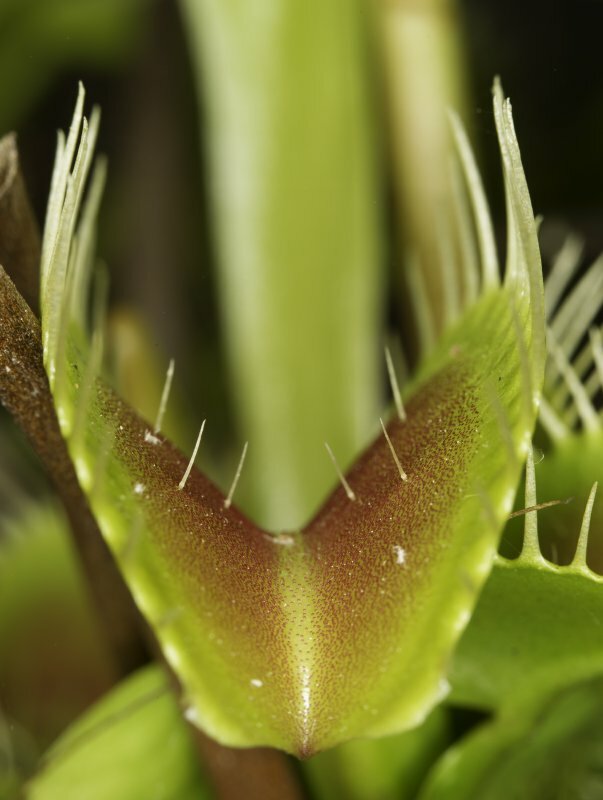 This picture clearly shows the 3 Trigger Hairs on each side of the Venus Fly Trap. 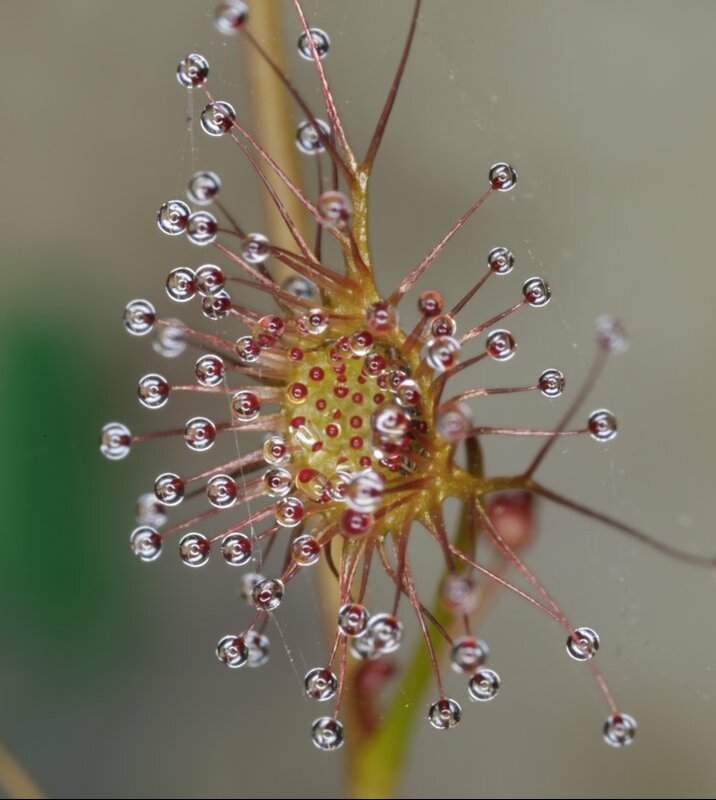 Pygmy Sundew plus captured Midge!